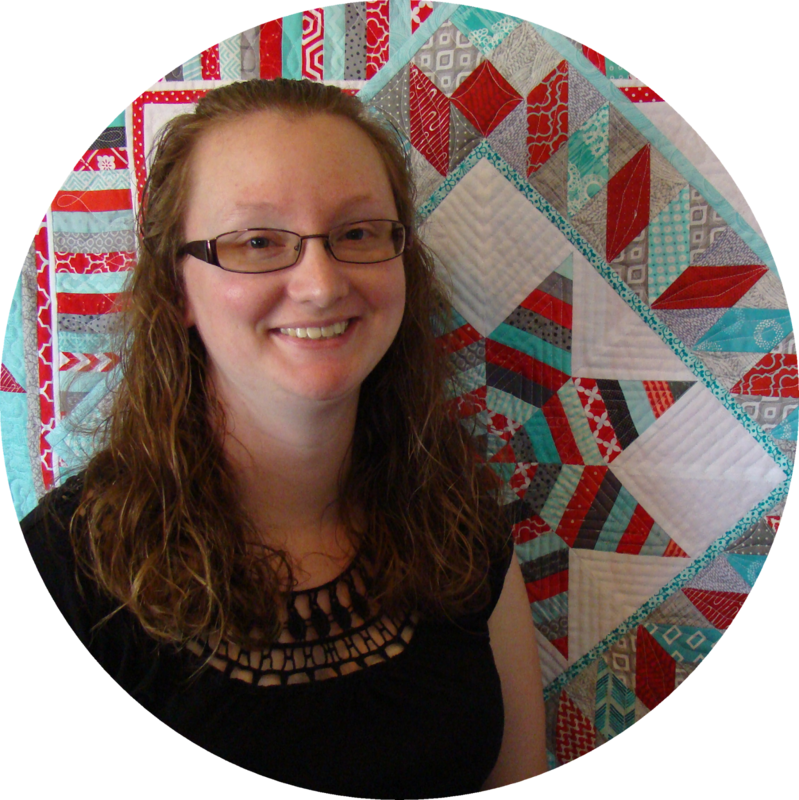 It's the first week of the new year, so that means it's time for a new season of Project Quilting! 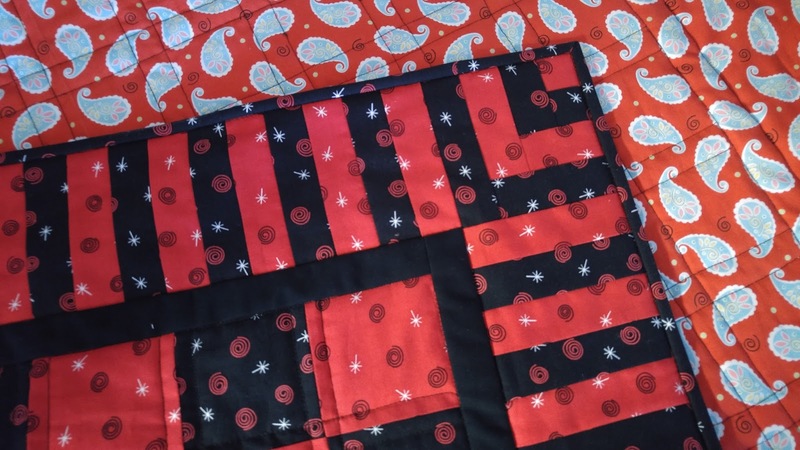 You haven't heard of Project Quilting? 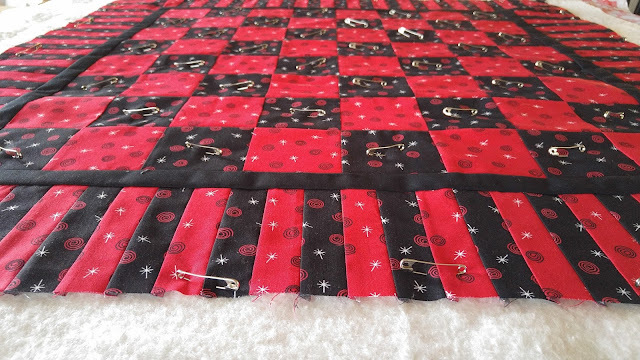 Well, it's kind of like Project Runway...but for quilting! I immediately started searching on Pinterest for ideas (every project I do starts this way!). I wasn't finding anything that tickled my fancy, so I thought I'd just give it a few days to see if I could come up with something. 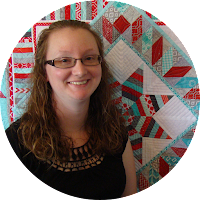 Then I decided to check my list of quilts that I want to make in 2017 (see my post here). 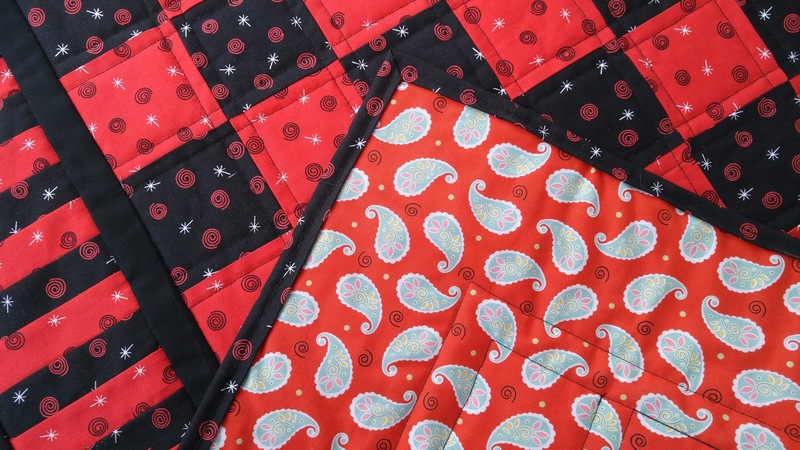 Lo and behold, one of the quilts on my want-to-make list (which has been on the list for y.e.a.r.s. 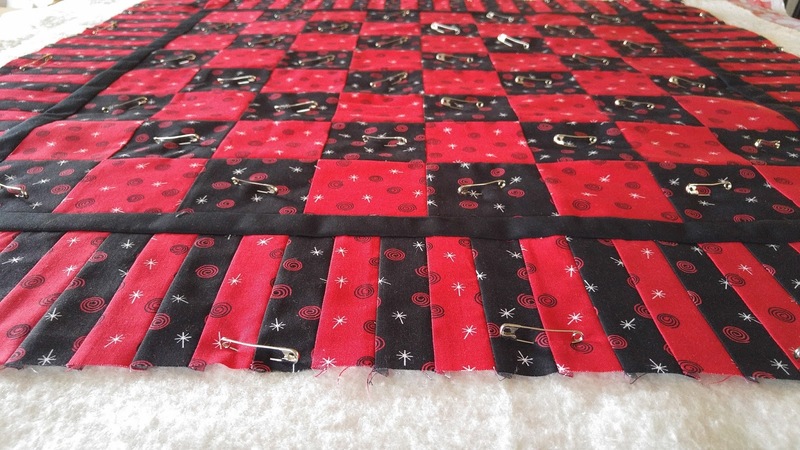 ), was a checkerboard quilt! A checkerboard is an 8x8 grid! Perfect! 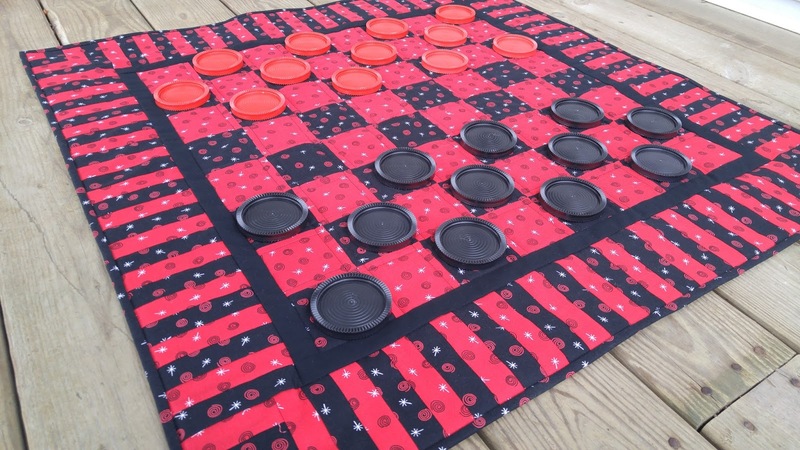 I bought a set of jumbo checkers at Savers (a thrift store) back when we lived in Las Vegas - over four years ago! (We now live in Southwest Missouri.) I'm not sure exactly when I bought them, but let's just say this idea has been in my head for at least four years! 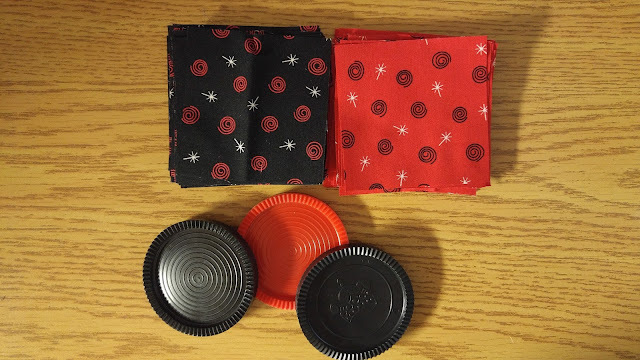 I dug through my stash to see what red and black fabrics I could find. I landed on two prints from the Peppermint Twist line by Dana Brooks for Henry Glass & Co. 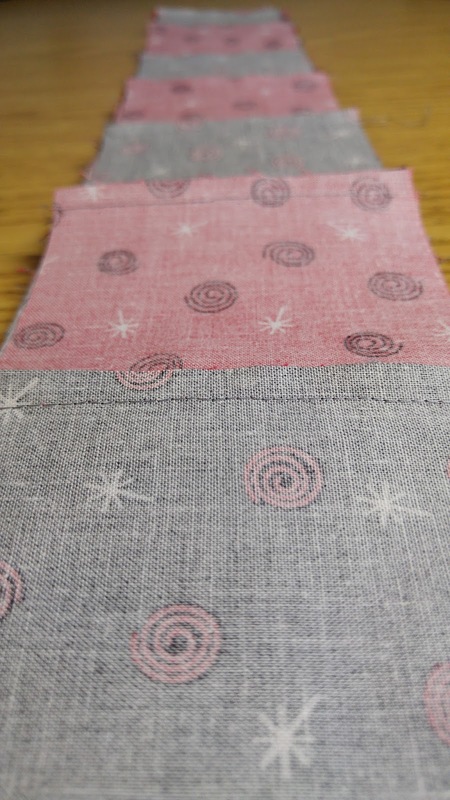 Although they are meant to be Christmas fabrics, it was what I had, so that made them the perfect choice! 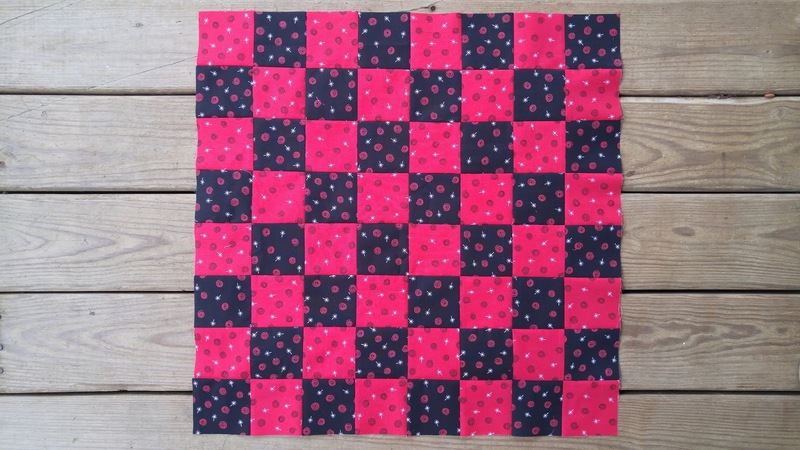 After piecing the checkerboard to make 3" squares, I added a 1" solid black border. 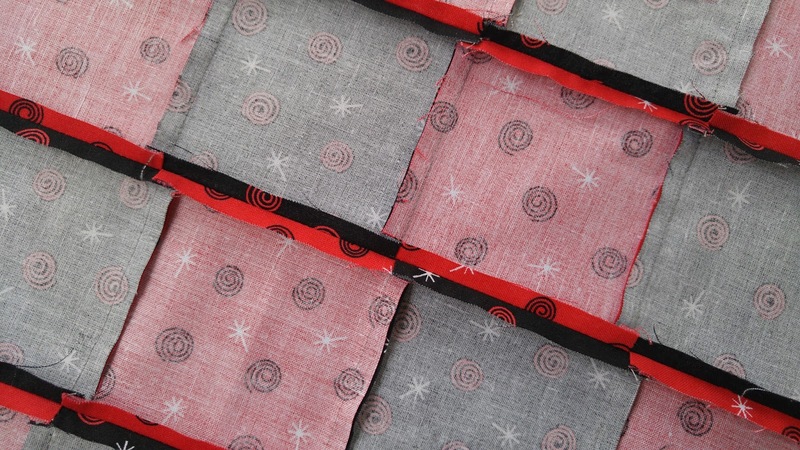 Then I used 1" strips to create the 4" outside border and quarter log cabin blocks for the corners. I backed the quilt with another Dana Brooks print I had in my stash. It is from the Ooh-la-la line for Henry Glass & Co. I quilted the checkerboard with my favorite walking foot quilting technique - straight lines on either side of each seam. But due to a chronic case of indecision, I left the outside border unquilted. 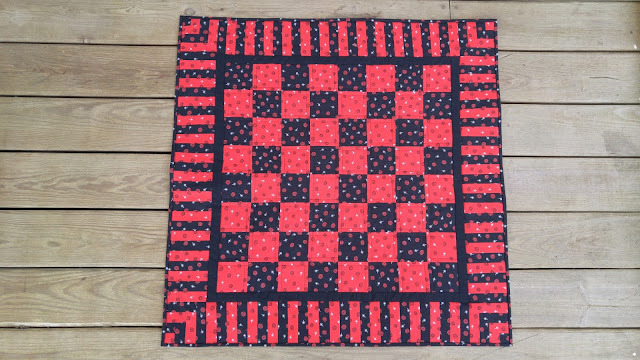 The quilt finished at 34" square and is ready for it's first game of checkers! I am thrilled to have this project crossed off my to-do list! From idea to finished in just six days! 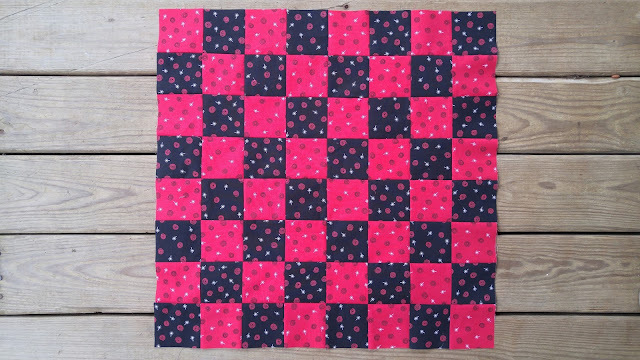 And my first quilt finish of 2017! Be sure to hop over here to see all the creative things people came up with for the "Eight is Great!" theme! 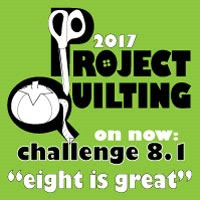 What a great project for this challenge! I love making useful things like this and yours turned out perfectly! 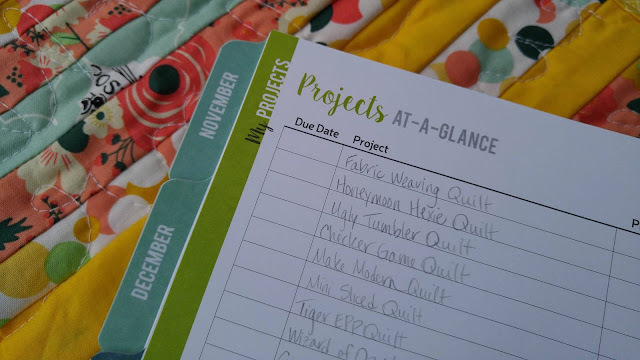 Plus, you were able to cross off a quilt on your to-do list. Bingo! ....er, Checkers! 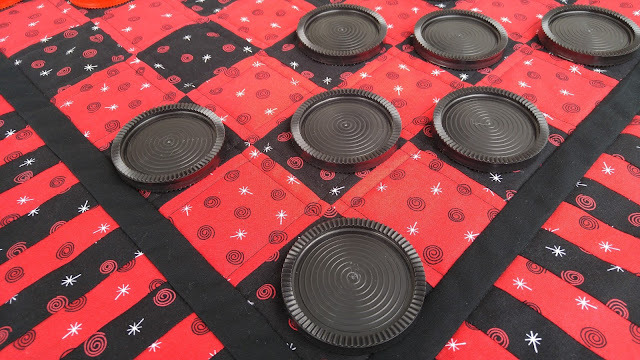 Checkers! Perfect!!!!! Great interpretation of the challenge - welcome to the fun! 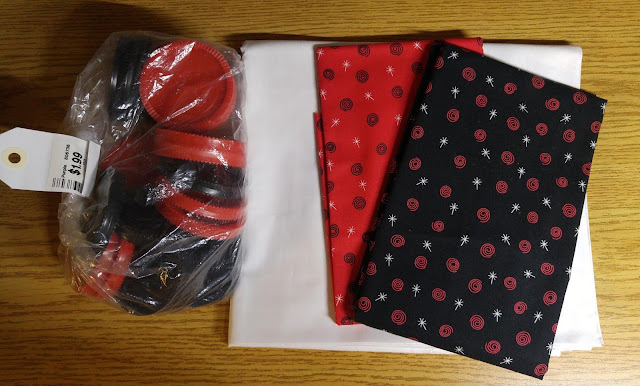 Hooray for a double-duty project - long-time wish fulfillment and PQ project all in one! It looks great and I love the post. What a fantastic idea!! So much fun!